Peruvian trail saddle. Includes Peruvian wool pad, carona(leather pad), Pellonera(padded seat cushion), leather stirrups and all the saddle breaching. 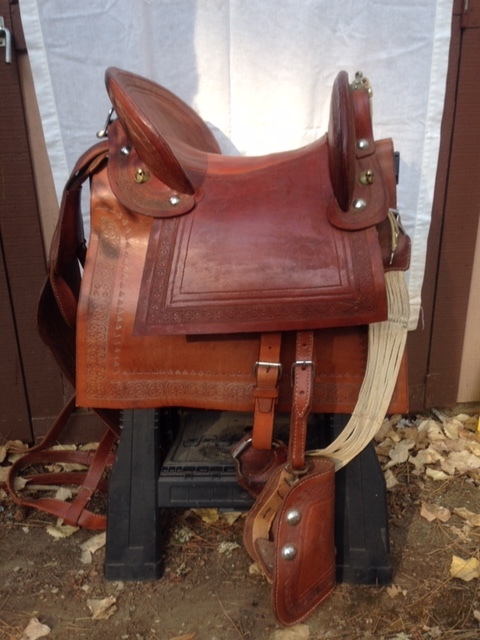 Price $500 for this saddle or $900 if buy this saddle and the saddle Item # 435. Shipping negotiable.